Abstract: Robust data analysis underpins every business decision, public sector project and non-profit initiative. But data in its raw form often fails to convince crucial lay audiences – either due to its complexity, or due to suspicion and mistrust. And you can’t help get guide the world in the right direction made if you alienate key decision-makers. Visualisation and narrative storytelling offer a path to bringing the numbers to life and persuading your audience – without losing the the crucial truth that’s in the data. 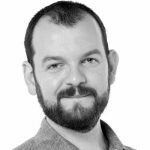 This workshop, delivered by journalist and data visualisation specialist Alan Rutter, will cover an audience-centred approach to visualising data. It will introduce tried-and-tested techniques for communicating data-driven stories effectively to people from a broad range of backgrounds, and deal with some of the common problems that practitioners encounter. We will discuss how to avoid landing at either extreme of the data visualisation spectrum: bullet-proof academic analysis that fails to communicate a message; or fantastic aesthetic creations that actually say nothing at all. We will look at the ethics of data visualisation, and how to be transparent about underlying data and methodologies. And we will discuss the considerations of different media, and how to tailor your visual approach to both your channels and audience. We will also look at how human beings interpret data, and how we can use design and psychology to our advantage. There is no focus on a specific tool or language, as it is far more important to have a clear idea of the intention and desired action than to obsess over a given language or piece of software. This workshop is suited to anyone who wants to create impact with the data they work with by turning it into compelling stories for other audiences – whether through printed materials, presentations, social media, or websites and apps. Bio: Alan Rutter is the co-founder of consultancy Clever Boxer. He first worked with infographics as a magazine journalist (Time Out, WIRED), before moving into technology roles (Condé Nast, Net-A-Porter) and then training and development (The Guardian, General Assembly). He has taught data visualisation techniques to thousands of students, and for organisations including the Home Office, Department of Health, Biotechnology and Biosciences Research Council, Capita, Novartis and Kings College London.